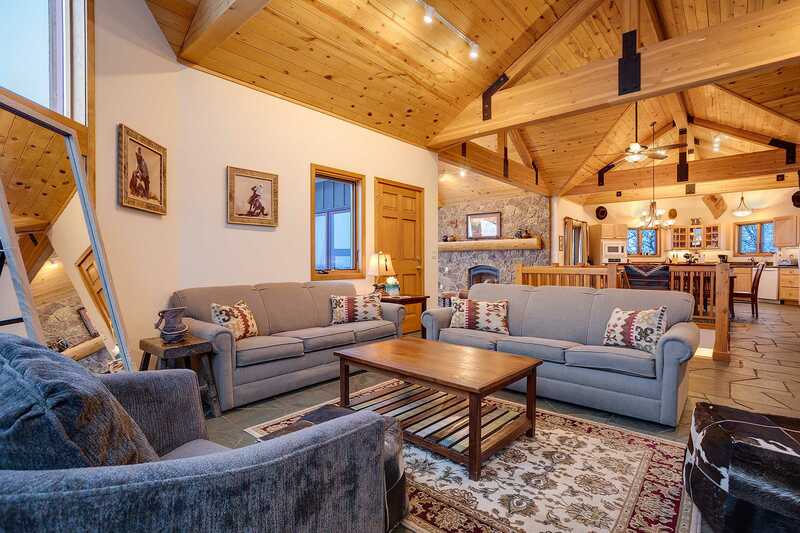 Ski Trail Lodge 1 – A spacious home set on the hillside, enjoying expansive views and offering up excellent interior spaces for groups and large families. 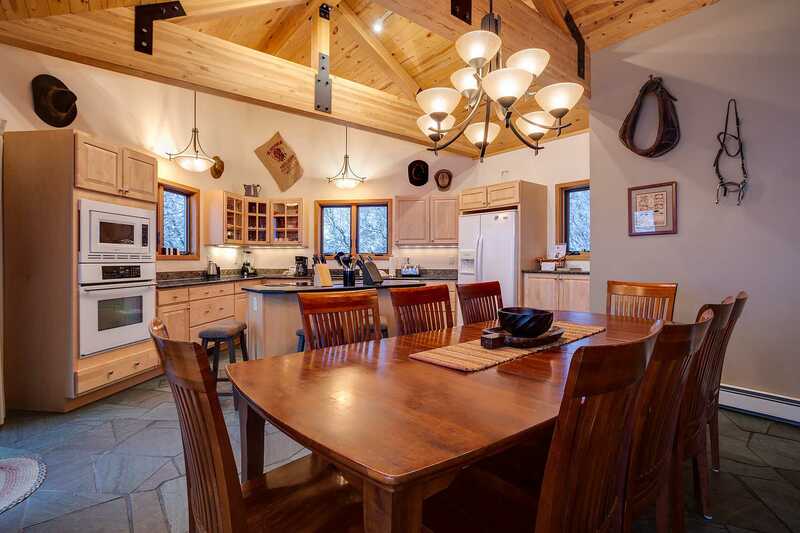 Featuring 5 bedrooms, 4.5 bathrooms and able to sleep up to 15 people – this is fabulous home for ski trips, family reunions, wedding accommodation, bike trips etc. 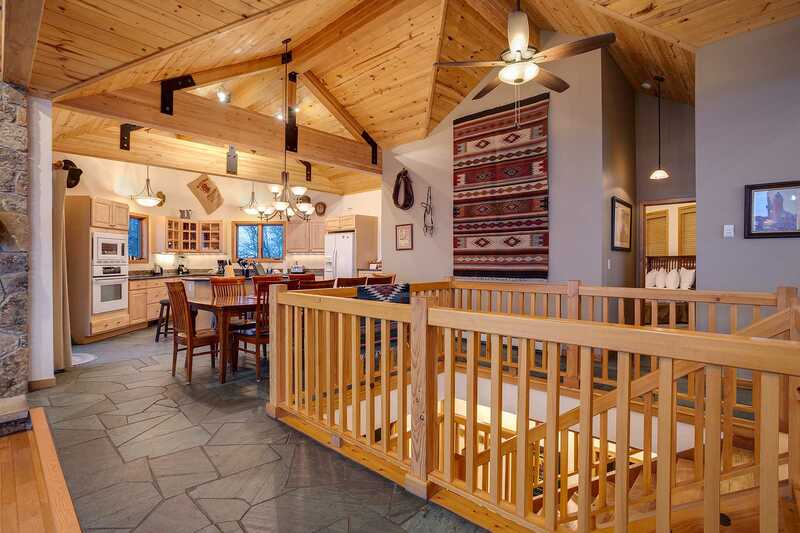 You’ll appreciate the lovely light throughout the house and open living spaces with high ceilings and exposed woodwork. 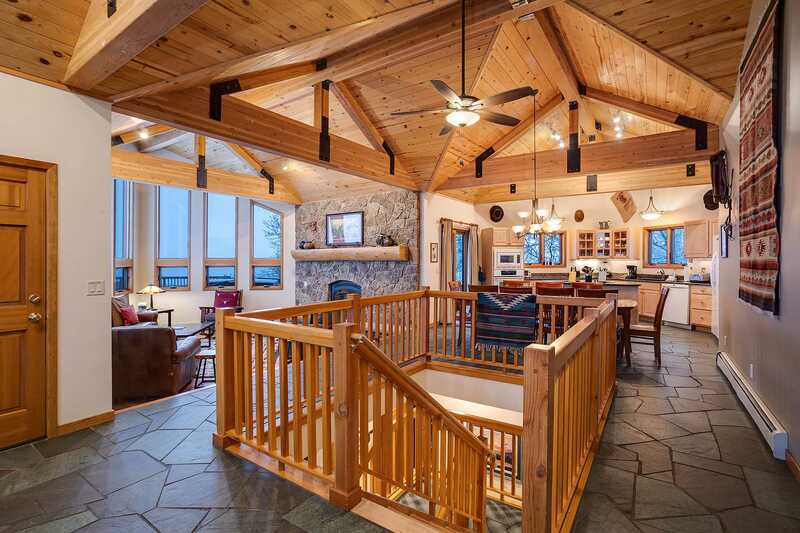 Views from the deck and living room are incredible and panoramic. 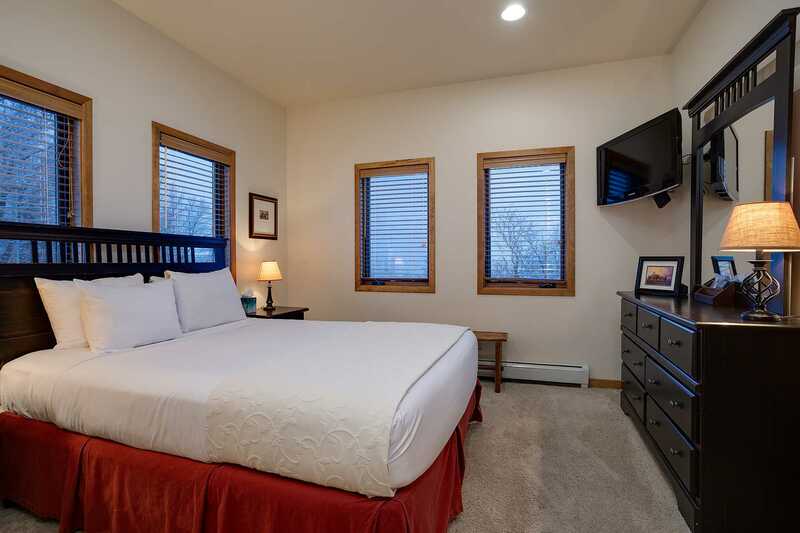 Amenities include granite countertops, 42" HDTV in the living room, huge hot tub, wet bar, 2 car garage and more. 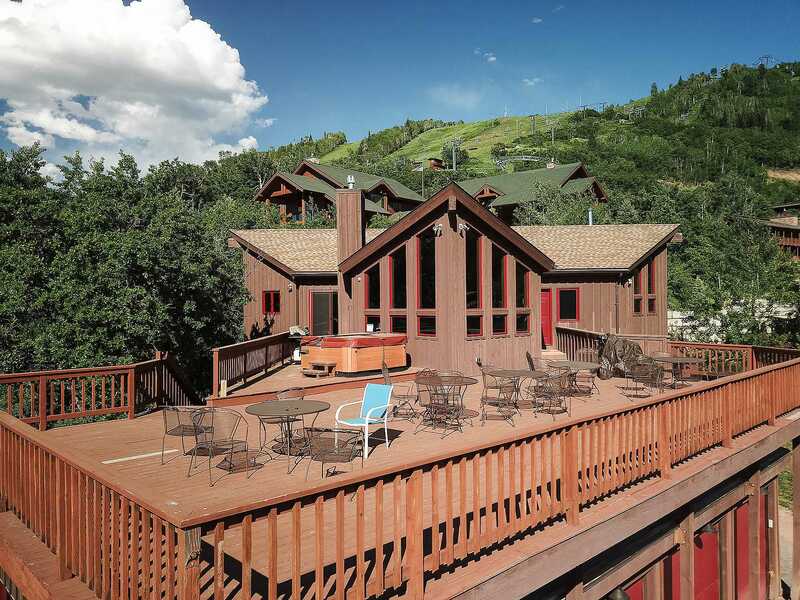 There is a massive deck (2,300 square feet) with a gas grill and plenty of seating! 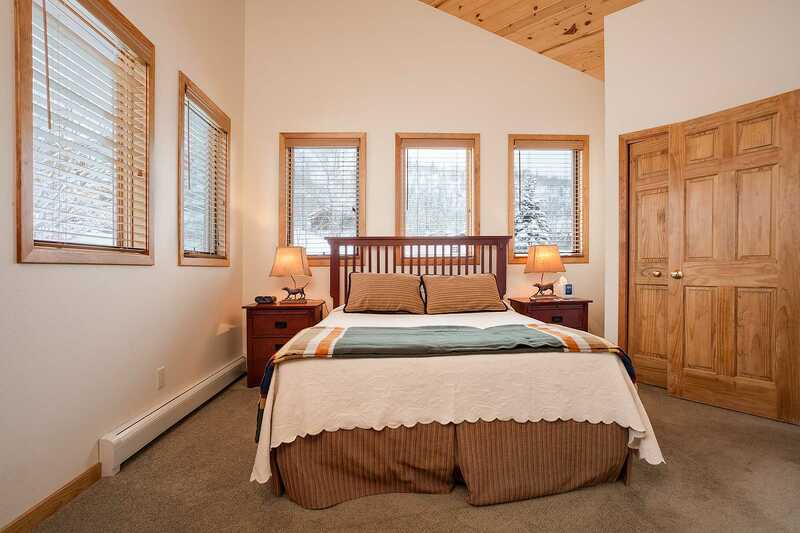 This home also enjoys on-call shuttle service through the ski season. 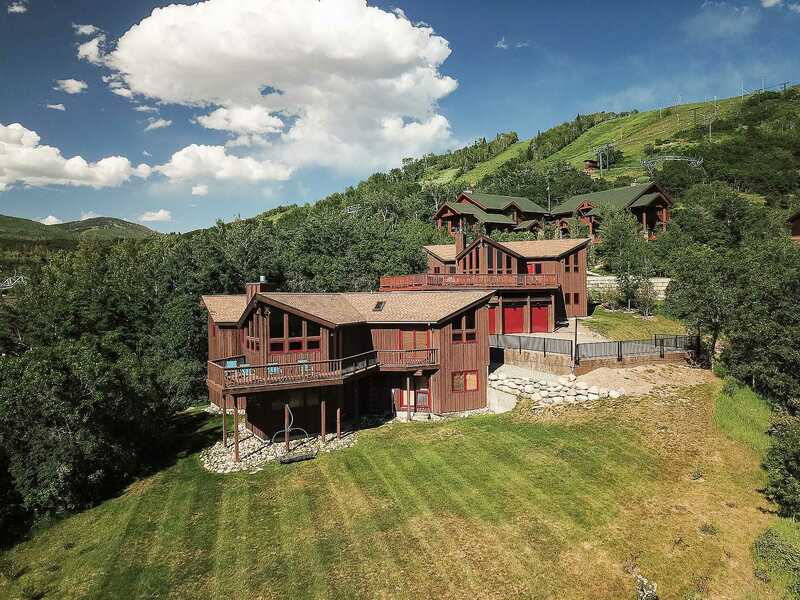 Just down the road, a mere 100-yard walk is access to the beginner's ski slope and hiking and biking trails in the summer. 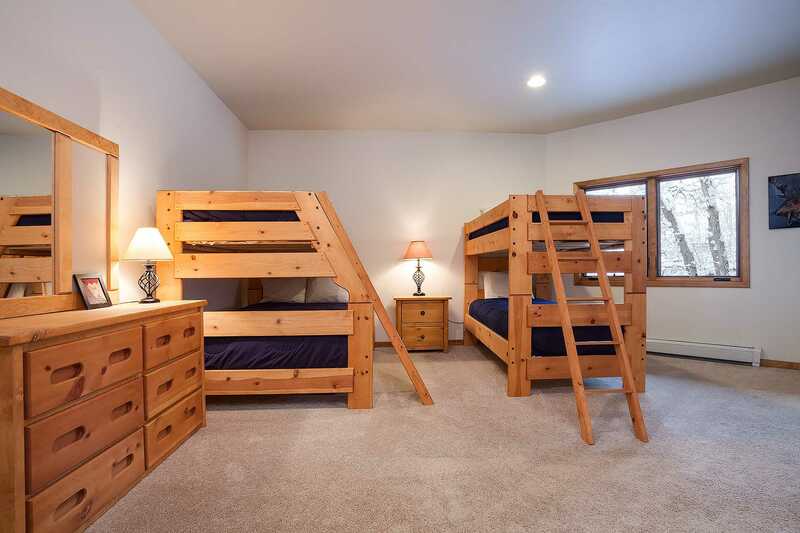 Extra Bedding: Two queen sleeper sofas are located in the main living room. 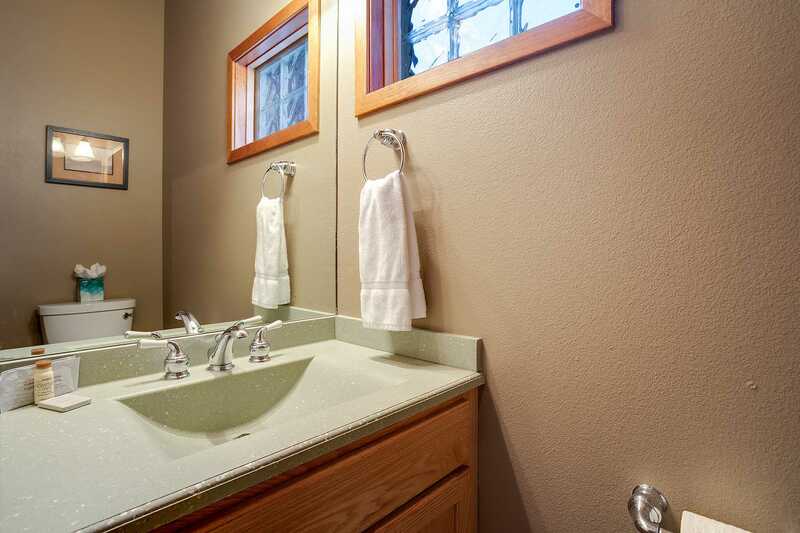 Linens, towels, and other amenities are provided by Pioneer Ridge. 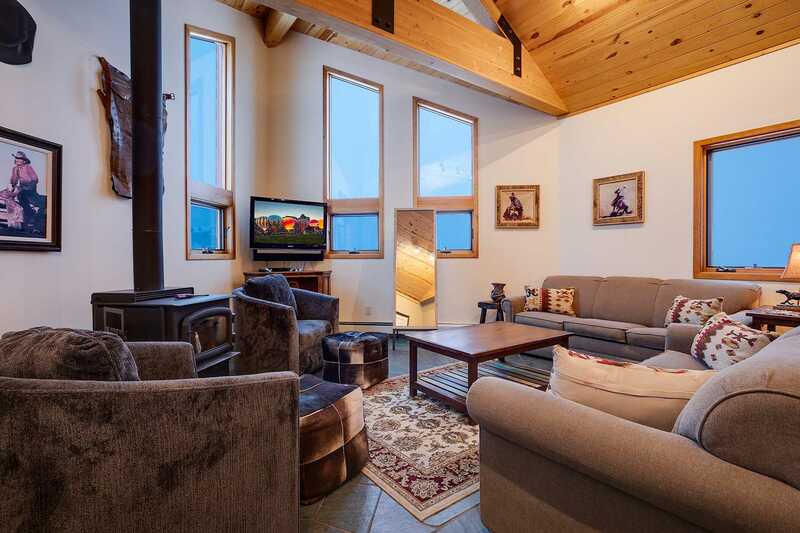 Ski Trail Lodge 1 can be rented with the adjoinging duplex Ski Trail Lodge 2 (90ST2) to accommodate a group of up to 27 people. 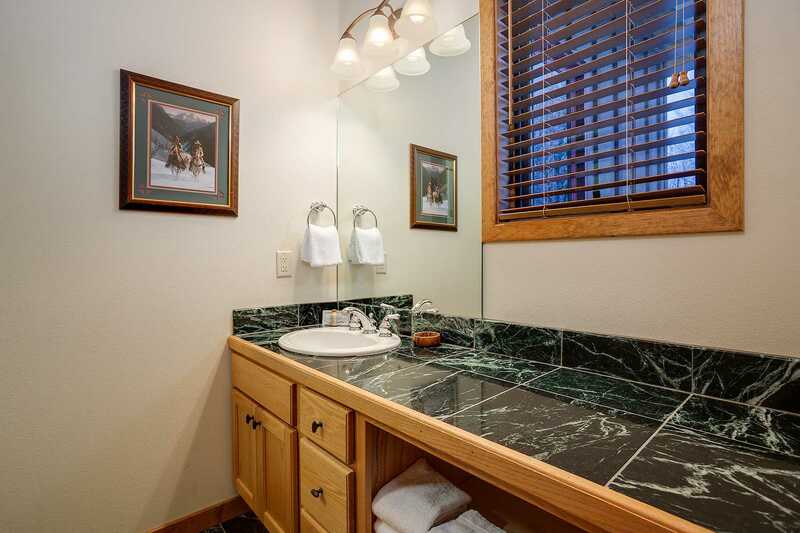 This property is dog friendly: All dogs must be registered at check-in, and a $100.00/per dog (plus tax) fee is required prior to check-in. Each guest who brings a dog must sign the Guest's Acceptance of Responsibility for the Canine Code of Conduct upon check-in. 2 Dogs Max. 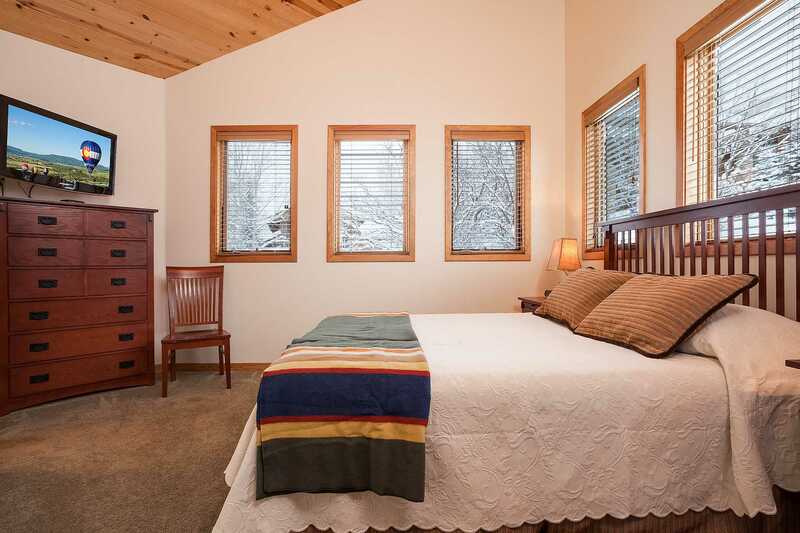 Calculate rates, confirm dates and book Ski Trail Lodge I online. 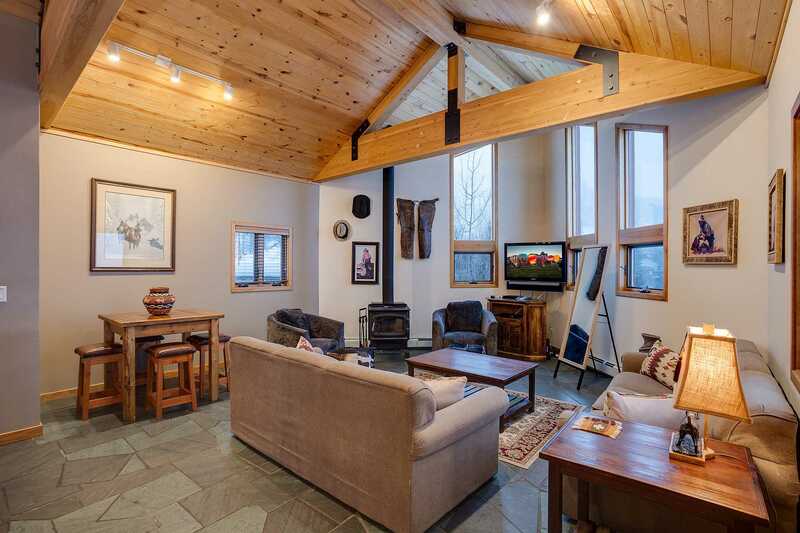 Slopeside/Ski Access: The Ski Trail Lodge is located under the gondola, only a 100 yard walk to a beginner's ski slope. On-call shuttle service is available during the winter.